Jonathan Lyon, who has enjoyed success in commercial cattle classes at all the major shows, explains how to make the most of your show cattle. Angela Calvert reports. Time and effort spent presenting your animal pays off, says Jonathan Lyon, who with his parents Trevor and Linda, has enjoyed success in commercial cattle classes at all the major shows. He says: “To win, the animal has to look the part, walk well and show itself off. It is about breeding, feeding and presentation. Obviously, you are going to buy or breed the best you can, but then it is about making the best of it. Jonathan says: “Show cattle have to be fit and have shape and a full loin, particularly at winter fatstock shows, where they are judged on suitability to be killed for Christmas. Jonathan advises selecting show cattle early, then feeding them a balanced diet consistently, rather than having to hold them back or push them on the meet target specification. He says: “We creep-feed from calves, then continue to feed ad-lib, which avoids any gorging. Keep assessing and weighing them to make sure they are on track for where you want them to be. The Lyons allow calves to settle down after weaning, then start to tie them up and wash and brush them. Jonathan says: “Spending time with them is the most important thing, as they have to trust you. The coat needs to be brushed upwards which is against the way it grows naturally, but regular combing breaks the hair and makes it easier to get it to lie the right way. “There are no shortcuts, as the more you brush and comb them, the better coat they will have. It is essential a show animal walks well. 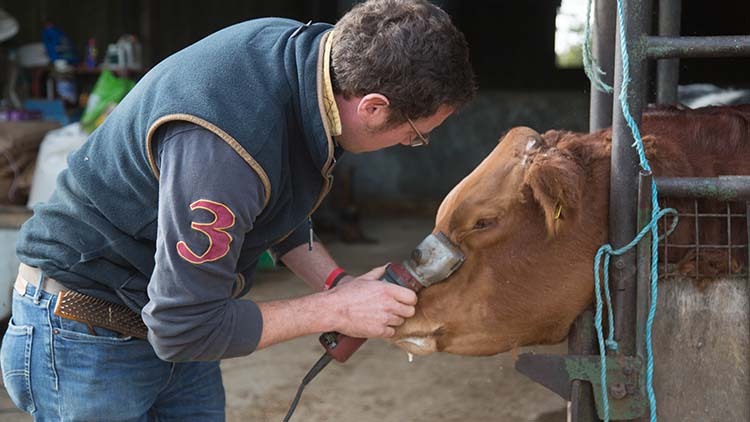 The Lyons will have calves’ feet trimmed at 10-12 months old, then possibly another two or three times. 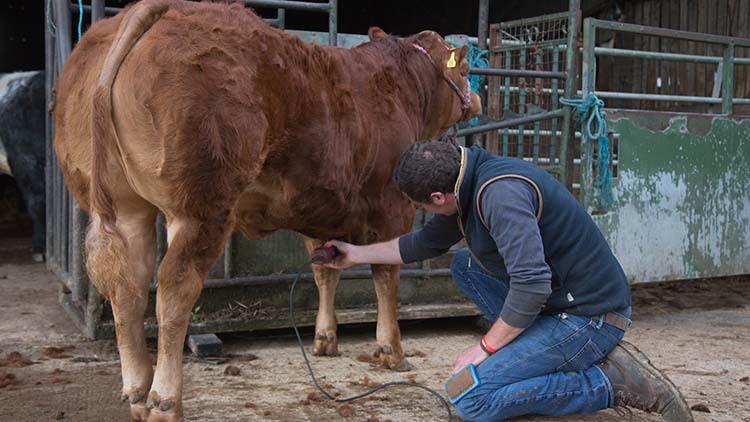 Before clipping, Jonathan blows a cheap shaving foam through the coat and combs it through to give some hold. If you do not have a blower, just put on the comb and comb through. He says: “Do not clip when the hair is lying down, as you cannot see what you are doing. 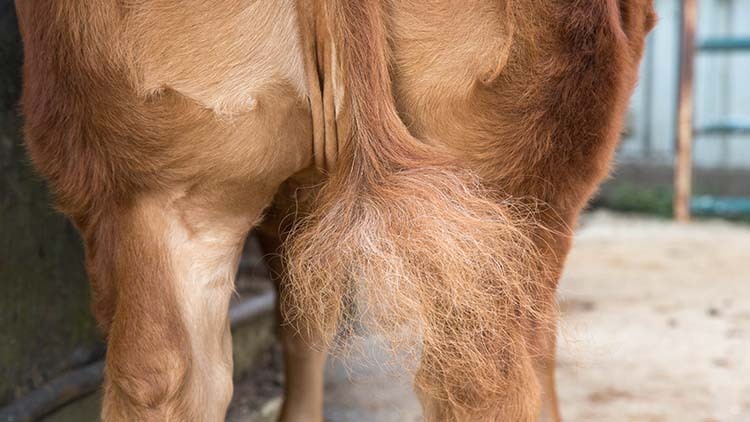 “I usually start clipping them at about three weeks before a show and do it in two or three sessions, although some people will do it in one go. The hair must be clean before clipping and without too much product in it. “Clip the top half of the tail, taking all the long ends off the side. The aim is to make the animal look as wide as possible and with a round shapely rear. Long hair from the belly should be trimmed to create a straight clean line which is parallel to the top line. 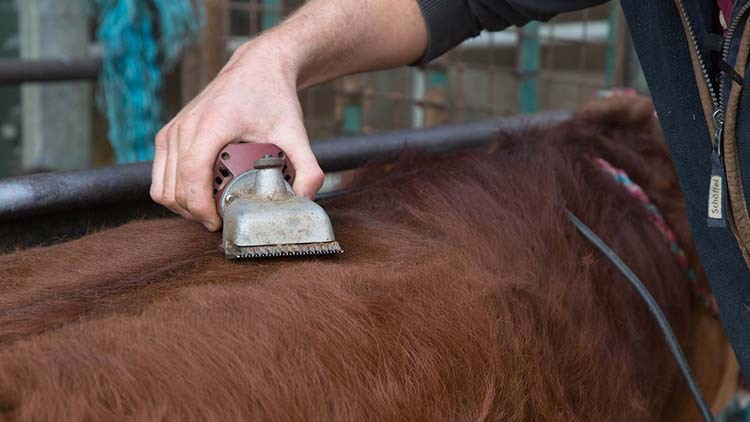 To clip the back, start at the back of the neck and clip along the back, taking as much hair off as possible to create a level top line and wide back, then trim the long hairs off the animal’s sides. 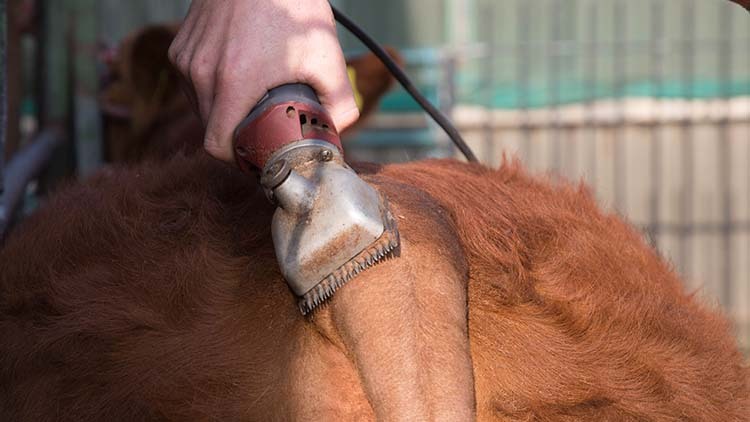 At the show, comb cattle soap through the coat and comb upwards until it is evenly distributed. Next, spray with a coat dressing and comb it through. Back-comb the tail, pulling the hair up to the top, to create a round shape which will fill the gap between the hind legs. After the show, make sure all product is washed out of the coat, otherwise it will cause irritation. Next: Farm 2026: Using data - how can your business benefit?